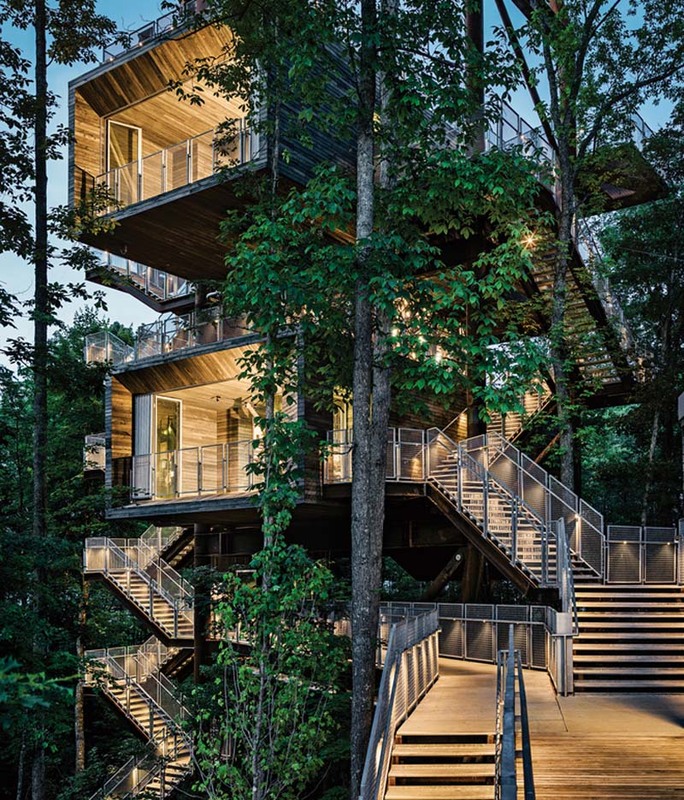 Seattle-based architecture firm Mithun created a sustainable tree house for the Boy Scouts of America that functions as an educational center in West Virginia. Sitting among the trees within the forest the structure, that follows the rigorous set of standards of the Living Building Challenge as a guide, has a set of outdoor staircases that go from the forest floor to the 125 ft-high rooftop. At the top a 4,000-watt wind turbine and 6,500-watt photovoltaic array offers lessons about renewable energy. The structure’s mission is to teach visitors about the environment and sustainability, including water conservation, energy use, recycling and more. 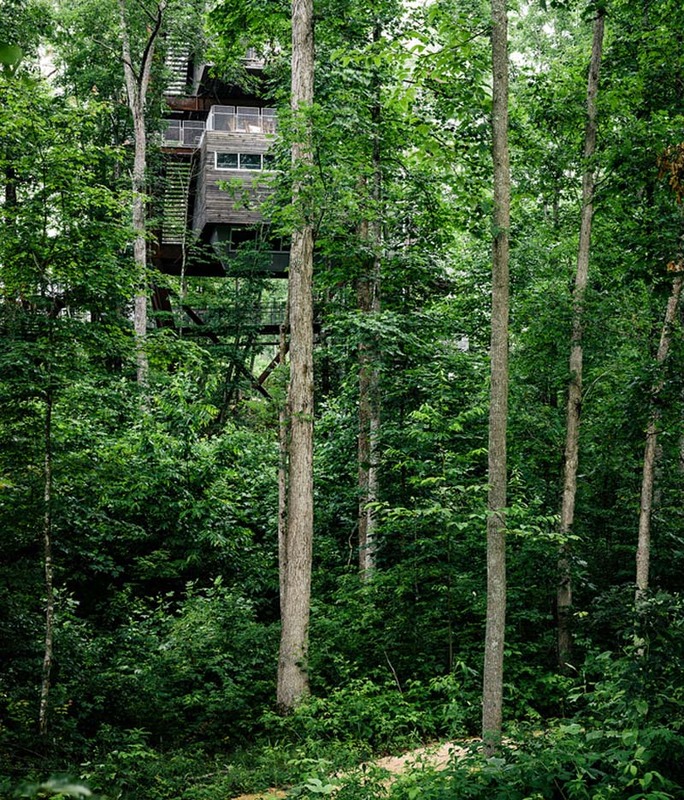 Where in West VA is the boy scouts of America sustainable tree house. Vaunice: Looks like it’s Summit Bechtel Reserve, Mt. Hope, West Virginia.